Not too long ago our Book Keeper, Pattie, was invited to a baby shower for a soon to be born boy - which of course meant she wanted to bring a gift. But she didn’t want to bring just any gift. She wanted to bring a hand knit gift. Unfortunately, she was a little short on time. What’s a knitter to do? The answer of course is knit with a bulky yarn. After a consult (where most of the CEY office weighted in) we decided she should knit I mean she decided to knit the Baby Sophisticate Cardigan by Linden Down in Sprout. How cute is that? She told me that part of the reason she picked this pattern was because it looked like an old man’s sweater and was really charming. The pattern was really easy for her to follow - a plus for Pattie, who is a beginner knitter. And because Sprout is a bulky yarn, it knit up super quick. The next consult on the project was finding the perfect buttons. I think we, I mean she did a great job. 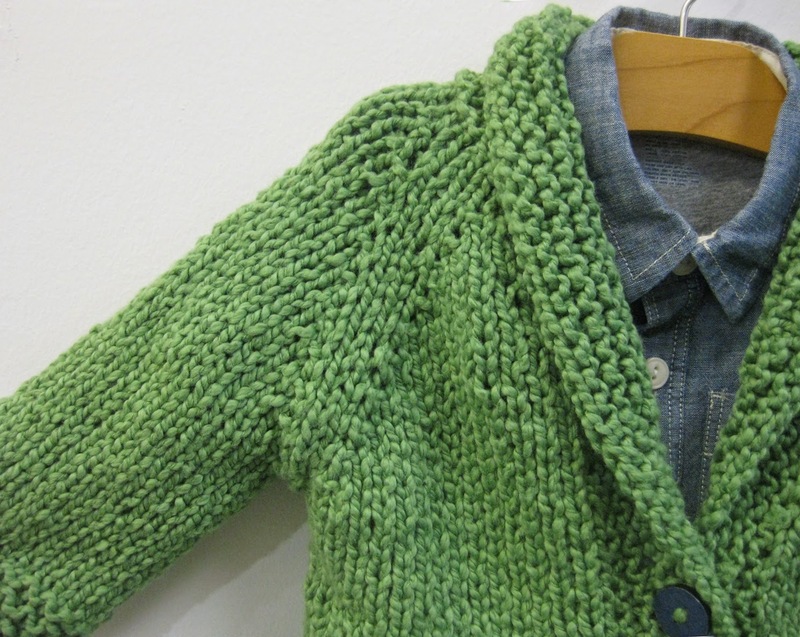 The blue buttons look beautiful against the bright green cardigan. 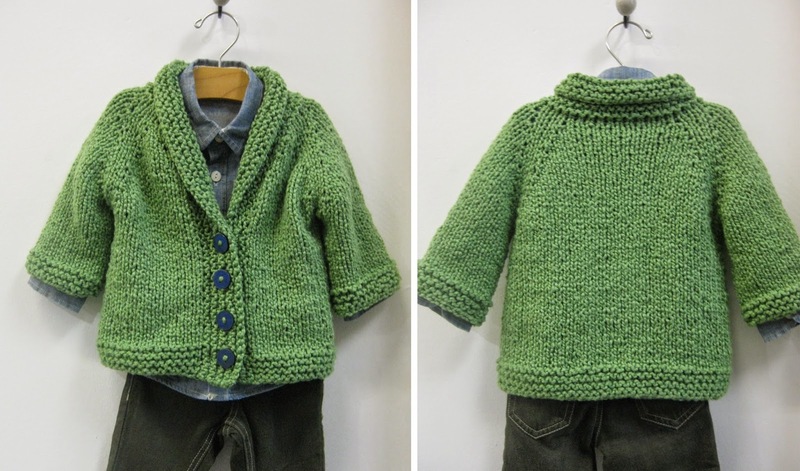 Pattie made sure to knit the 6-12 month size in the cardigan, so the baby will be able to wear it more than a few times before he outgrows it. I highly recommend this train of thought. Babies have a way of growing faster than you think they will. Also sometimes a six month old baby is bigger or smaller than the size of a six month old sweater. But one of the best things about babies is that they look adorable in things that are a little big for them and still look really cute in things that are the right size. So if you make it on the larger side, it won’t matter. Sprout is a great choice for baby things. Not only does it knit/crochet up fast, but it’s also machine washable (I can almost hear a collective grateful sigh from mothers of young children everywhere). We all know that while babies are totally adorable, they are also really good at being messy. *Hey…did you know that you can get the blog delivered right into your mailbox? It’s true. Make sure to fill in the box on the top right of this page with your email address and click submit! Light blue and knitting wool material, quite simple designs as well as the fit is there.